Probate is often equated with death. It’s an unfamiliar and frightening term that is often misunderstood. Unfortunately, an estate goes through probate when you are the most vulnerable. After a loved one dies, it is difficult enough to cope with the reality of the loss without having to face the emotional perils of probate. It is essential that survivors fully understand the legal meaning of probate, the procedures involved, and the ramifications of decisions that are made during this time. Mistakes made during probate can be costly and heartbreaking. Probate is a complex area of the law that requires information and formalities that must be strictly adhered if you are ever to get your estate settled. 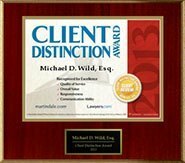 Our law firm has the experience and knowledge that will simplify your journey through this arduous process. We are compassionate lawyers dedicated to helping you in an efficient, painless manner. We will handle everything from your court appearances to the decedent’s tax returns. You can trust us to respect your wishes and the plans of your loved ones. Whether you are just thinking about planning your estate, or going through the process of settling an estate, we can help. Probate is the legal process the law requires for property to be disbursed to the heirs or beneficiaries of an estate. It is a procedural term that encompasses the legal steps taken from the time of the decedent’s death through the transfer of the estate property. Probate court is a special court that has jurisdiction over the decedent’s property. This court is located in the county where the decedent was domiciled at the time of death. Probate is opened by presenting the decedent’s death certificate. The judge appoints a personal representative and issues letters of administration that gives the personal representative the authority to act on the decedent’s behalf. The judge holds hearings and issues written directives called orders that eventually lead to the disbursement of the estate property. There is no set time frame designated to complete probate; however, the state encourages the timely resolution of probate. Generally, probate takes at least 6 months. Unfortunately, it can also last for many years depending on the complexity of the estate, the level of the assets, the number of beneficiaries and the estate planning documents, if any, that were prepared on the decedent’s behalf while they were alive. How can I make probate less painful for my family? PLAN AHEAD! Even though your estate is required to go through probate, you protect your families from costly and time consuming procedures by working with an estate planning attorney during your life. For example, an attorney can make sure your Will is properly written and executed; establish numerous types of Trusts; and advise you on gifting and property transfers that may almost eliminate the need for probate when you die.